A Saxophonic Spectacular exploration of music from the genres of Baroque, Classical Saxophone Repertoire, Classical, Modern and Movie Hits. A showcase of classical saxophone music performed on the alto, tenor and soprano saxophones with audio accompaniment. Music includes: Brilliance by Ida Gotkovsky, Marcello Concerto, The Swan by Saint-Saens, KuKu by Barry Cockroft, Lunde Sonata, Chanson et Passapied by Jeanine Rueff, Star Wars-Moana-Frozen-Harry Potter movie themes and more! Great for school assemblies, class rooms, or music classes! 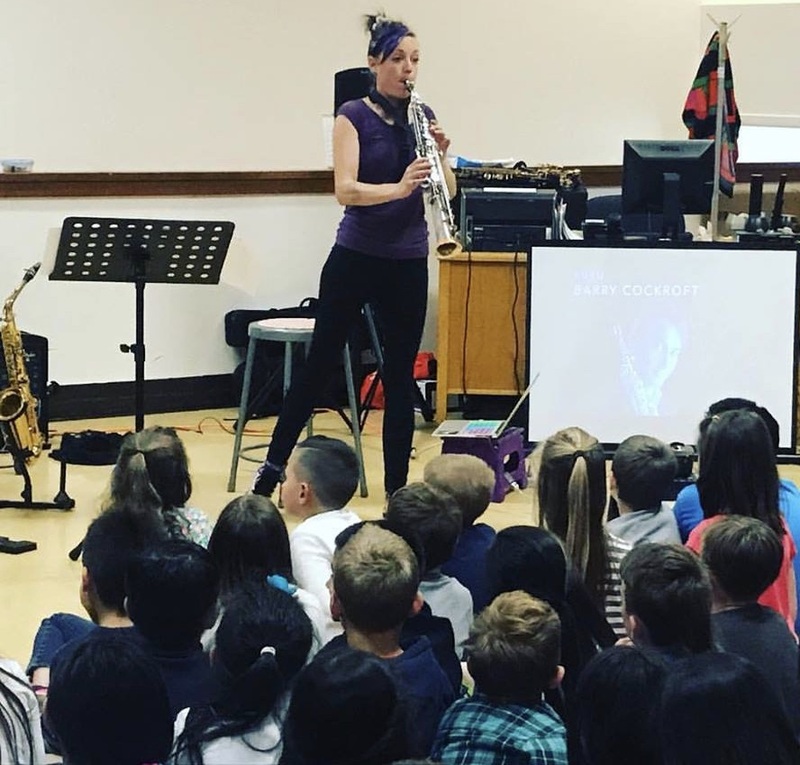 Your elementary students will love JenUwin's engaging demonstration of classical saxophone music!